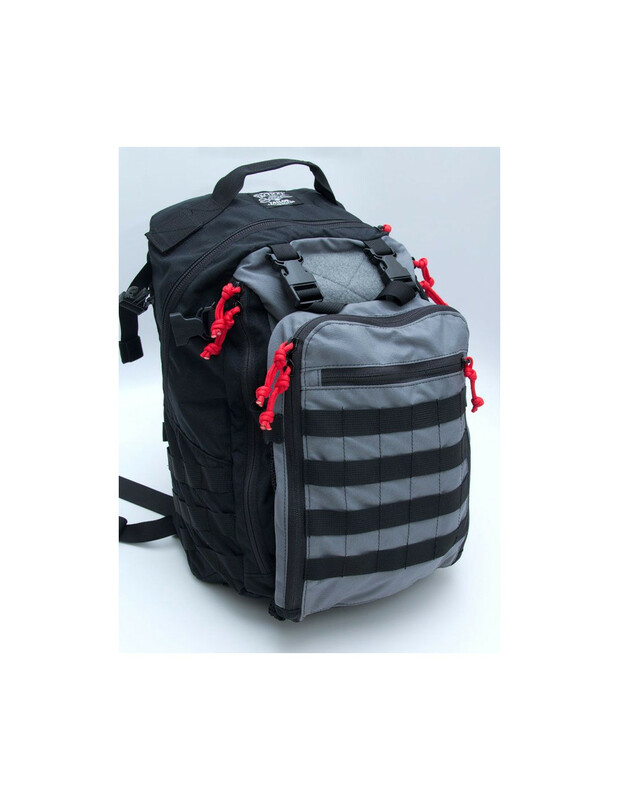 After the success of the Adapt Pack we had some requests for a larger pack with more organization features. With that in mind, I’ve always liked the expandable idea of a beavertail, but on those packs I never appreciated how typically one had to release the beavertail to get to other compartments or when not in use the beavertail could be fairly floppy. So with those concepts we took the foundation of the Adapt pack so you get those cool guy features, then upsized it and added a self contained beavertail along with plenty of organization options. The result makes the Boss Beaver good at both tactical and hard urban use. All other compartments can be accessed without having to disengage the beaver tail. Beavertail zone can be compressed overall flat when not in use, yet can expand very wide to hold bulky helmet types and more. Pack is able to be quickly setup ambidextrous for either 2 strap or 1 strap modes, extra modular SRB included to setup a cross strap for when in 1 strap mode. Sternum strap vertical position is highly adjustable to give females more comfort options. Main shoulder straps and all other adjuster straps can be tucked into hydration pocket to make the bag a clean grab bag. The hydration pocket has a hanger and main compartment has tube ports for alternate hydration placement, antennas, or any other wire like routing. A Large Loop field is in the CCW compartment, with additional loop in the beavertail interior, and of course a good sized field on the upper exterior for your patches. Dual loops zones allow for both the typical full conceal CCW setup and a no release required quick grab CCW setup. Beaver tail flap interior comes with organizer pockets while the main compartment has 2 bottle / stash pockets built into the bottom sides, a simple sleeve and a zippered mesh pocket on the front interior, a padded laptop sleeve on the interior back, and cord ports are integrated up top. 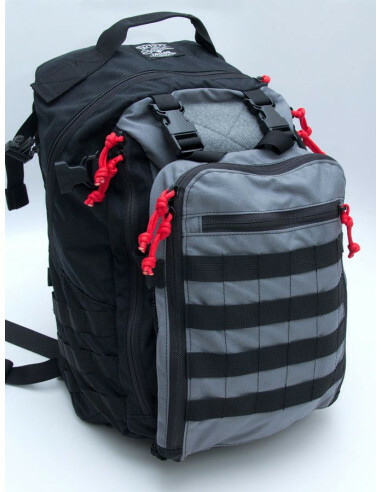 PALS webbing is on the front and sides exterior to allow pouch mounting, even some on the shoulder straps, and off-spec webbing on the pack bottom for bulky item lashing. Main 12" x 18" x 6"
CCW 10.5" x 16" x 2"
Beavertail 9" x 13" x 2"
*No extra inserts or gear included, only shown in pics as examples.